The request of information in respect of services offered by Rome4all can be made via telephone, via mail, via a chat or by filling the special model on-line . Rooms in a B&B or Guest House and apartments for rent in Rome are temporarily reserved under your name after confirmation of their availability has been duly received. However, if you want said accommodation to be definitely confirmed, you will have to effect an advance payment within 24 hours and to advise Rome4all by mail that you have duly done it. Expired this term, said availability will not be warranted any longer, unless a specific option in this sense has been previously agreed upon. Terms and Conditions described hereunder are automatically accepted by you who then will make bookings via Rome4all. Immediately after the advance payment has been effected, you will have to give us advise thereof. Then you will receive the official confirmation of such a booking - i.e. a reservation voucher – with the indication of the precise address of the accommodation, plus the telephone number of the person who will welcome you, as well as the details in relation to your check-in. After you have received said reservation voucher, you will have to advise us of the time of your arrival and of possible requests for additional services. Do not forget that you will have to advise us of the time of your arrival so that an Operator of Rome4all will welcome you in the very best possible way ! In order to have an accommodation duly reserved, it is necessary to make an advance payment of 20% of its final charge. It is a part of the total amount to be paid for renting an accommodation. It is due at the time of its booking. It is made via Credit Card or via Bank Transfer and it is indispensible in order to receive its official confirmation. The amount of the advance payment can differ depending on the type of structure you wish to book, but it is always adequately specified in the description of our proposals. Standard cancellation given over 30 days before your arrival : total reimbursement with a 30€ deduction due to administrative expenses. You may choose the form how to be reimbursed. In any case the expenses relating to the operation of reimbursement will be withheld by Rome4all, such as the expenses due to the relative bank transfer. Cancellation given between 30 and 20 days before your arrival : the amount of the advance payment only will be withheld, unless Rome4all will succeed in finding another Client who will occupy the accommodation for the same period. In any case, the expenses relating to the operation of reimbursement will be withheld by Rome4all. Cancellation given less 20 days before your arrival : the entire amount of the reservation will be due, unless Rome4all will succeed in finding another Client who will occupy the accommodation for the same period. In any case the expenses relating to the operation of reimbursement will be withheld by Rome4all. Clients with reservations officially confirmed who do not appear and/or do not advise Rome4all of their cancellation, will have to pay the entire amount due for their reservation. Rome4all will not be responsible for cancellations owing to causes beyond their control, such as cancellations of flights, natural catastrophes, riots, fires, wars and similar events. Such events will have to be covered by specific Travels Insurance Policies. Therefore, we would advise you to buy said type of policy prior to your trip, so that you may will have the eventual cancellation of your vacation duly covered. Book your trip in Rome in advance and save. Choose the most suitable accommodation and book at least 4 months ahead. This special offer is valid for all seasons except Christmas, New Year and Easter periods. For this “Early Bird” promotion, you may be required to pay in full at the time of booking or a non-refundable deposit to redeem the discount. However all offers and sums paid with early bird rate are non-refundable. Prices indicated in Rome4all website are in € (Euro) and are to be intended per night, per apartment or per room. Weekly prices are to be intended as per a stay of 7 nights. 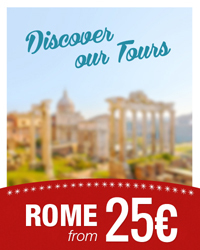 VAT is included in the prices indicated in our website, whilst the ROME MUNICIPALITY VISITOR’S TAX is not included. No agency commissions will be applied. For stays longer than 9 nights you will have a free transfer service with chauffeur from or to the airport or the railway station of ROME. Prices indicated in our website vary according to the duration of a stay, according to the season and according to the number of people who will occupy the apartment or the room. The standard minimum period of a stay is between 3 and 5 nights, exception being made for something different being agreed upon, but specifically expressed in the description of the structure in Rome4all website. However, also during certain periods of the year - such as Christmas, New Year’s Day and Easter – a stay between 3 and 5 nights may be allowed. In the price for the rent of an accommodation are included: initial and final cleanings, energy consumptions, supply of all types of linen. Rome4all will not be responsible for problems caused by the malfunctioning of water, gas energy and electricity supplies which do not depend at all on their will. Check-in is free if done between 12:30 h. and 20:00 h.
· 20€ for check-in between 20:00 h. and 22:00 h.
· 50€ for check-in between 22:00 h. and 01:30 h.
· 20€ for check-in before 09:30 h.
The check-in will be possible after 12:30 h. In certain cases – in particular during the high season - you will kindly have to wait that the cleaning of the structure be properly and completely carried out. Should it be necessary or according to your impellent needs, it will be possible to anticipate said timing or at least to deposit the luggage upon due notice to the structure’s owner. The check-out is due prior to 11:00 h.
Should you need to occupy the accommodation after 11:00 h., we would kindly ask you to make such a request at the check-in. Should this be possible, needless to say that you will be duly authorised to leave your accommodation after such a time. As already mentioned, you will have to arrive at the time and at the place agreed upon with Rome4all. Should you realize that you will not be able to arrive in time ( for instance because of the delay or the cancellation of your flight ), it will be sufficient for you to advise Rome4all thereof and make a new appointment. A person of our staff or somebody who represents the accommodation’s owner will await you by the apartment or by the room at the time agreed upon. The accommodation will be handed over to Clients duly cleaned and ready for the number of guests indicated in your voucher. The actual working of the equipment in your structure will be duly explained to you ( such as the conditioned air system, Internet, washing machine, dish-washer and so on ). Then keys will be handed over to you. Said keys will have to be returned to the Rome4all Operator at the check-out. The remaining amount regarding the balance due by you is specified in your voucher and it will have to be settled by cash and in €uro at the check-in . Alternative methods of payment are possible if specifically agreed upon with Rome4all before your day of arrival. 9. Change or cancellation of the contract made by Rome4all . Because of unforeseen circumstances, Rome4all can reserve themselves the possibility of substituting the structure which has been booked with another of equal or superior standard. Owing to causes beyond control, Rome4all can cancel a contract at any time. Then Rome4all will return to you the whole amount of money which has been paid. Should Rome4all be compelled to cancel your reservation, it will be their care to advise you and propose another solution with similar or actually even better characteristics. Should the new proposal be not acceptable to you and should further alternative solutions be not acceptable to you, Rome4all will then return the whole deposit to you. No additional sums of money will be due to you by Rome4all who will not be charged with further responsibilities in any case. When keys of the apartment or of the room in a B&B or in a Guest House are handed over, you will have to give a bail either in cash, or in travellers’cheques, or to give an equal guarantee by credit card. Terms and conditions of such a bail may vary according to the accommodation you have booked and according to the duration of your stay. These details will have of course, to be always specified in the form relating to the accommodation which you have booked as at the time of your booking. 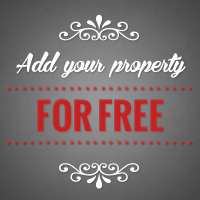 Said bail will be returned to you at your departure provided that the accommodation has not been damaged. You will be bound to occupy the accommodation in a responsible way and to entertain good terms with neighbours. · Damages caused by you. Rome4all Operators periodically inspect accommodations, check on their quality standards and verify that they match with the descriptions published in Rome4all website. Consequently, any responsibilities for possible modifications made to structures without the knowledge of Rome4all, or in any case, which have not been duly communicated to them, are duly declined. Eventual complaints will have to be made to Rome4all within 24 hours after check-in. Rome4all would ask you therefore, to communicate any malfunctioning in the structure within such a time. This service has a cost of 18€ in addition of course to the cost of products which have been bought. You may utilize this service in respect of each type of sundry expenses requested and handed over. Rome4all will always hand over to you the relative ticket for an adequate verification of the price of products which have been bought. Rome4all reserve themselves the right to refuse to do those services due to their very impossibility to carry them out. The payment which had been made by you will be duly reimbursed. You may ask for the cancellation of services required 5 day before the date of your arrival. Should you make such a request within 5 days before your arrival, or should you not appear at the venue where keys of the apartment are to be handed over, no reimbursement will be due by Rome4all. The prices in respect of type of services are duly indicated in Rome4all website. These services can be booked at any time. In case of delay or cancellation of flights, you will have to advise thereof Rome4all and fix a new rendezvous by communicating the time and place of arrival. These services are always performed by experienced people who can offer a high standard of professionalism, reliability and discretion. The payment for these services are to be made straight at the time of booking. It is possible to cancel it and then receive the reimbursement of the whole amount which has been paid, except eventual expenses until 2 days before the commencement of the service required. In respect of cancellations within the 48 hours before the commencement of services required, you will have to pay the whole amount due. These services are performed by duly authorized Companies or Professionals. Rome4allb may book these services on your behalf should you, of course, make such a request. Rome4all are not responsible for eventual misunderstandings in relation to the performance of said services. However, Rome4all bind themselves to give due assistance in order to solve eventual problems or to find alternative solutions. Exclusively the Court of Justice of Rome will act as the competent Court for whatever dispute deriving from the application of the Contract and the General Conditions previously illustrated. All personal data supplied by you will be handled in order to preserve your privacy, as well as according to the obligation of discretion provided for the D. Lgs. 30/06/2003 n.196 law. For additional information please consult the detailed Information in relation to Privacy.